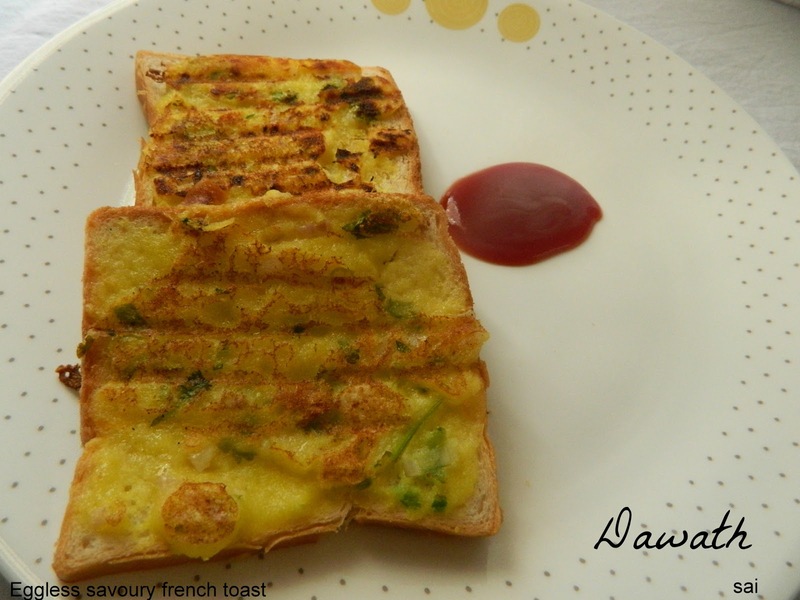 Eggless savoury french toast tastes as good as its name.I first came across this recipe in Sharmis passion ,ever since I saw the recipe I wanted to try it and it looked very inviting.I made slight changes in the recipe and prepared.It makes the best morning breakfast and an evening snack.A cup of coffee or a glass of juice is a complete feast. Mix all the ingredients except bread and ghee to a smooth batter of spreading consistency. Don’t make the batter too thin,use milk only as much as required. Once you place it on the pan apply on the other side and fry it both the sides. You may also apply on both the sides and then roast. Glad that you liked it….my fav too! 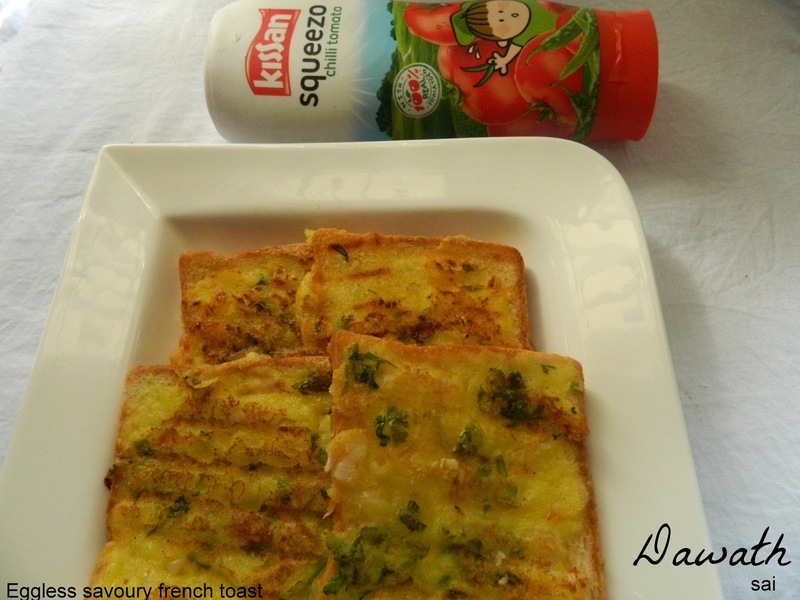 ths geetha, my son likes french toast very much i’ll try this .